Summary: This walk around Embsay Moor starts at Black Hill just off the Barden to Embsay road and visits Embsay Reservoir, the Rylstone Cross and Cracoe War Monument before tracking across Cracoe Fell to the Upper and Lower Barden Reservoirs. 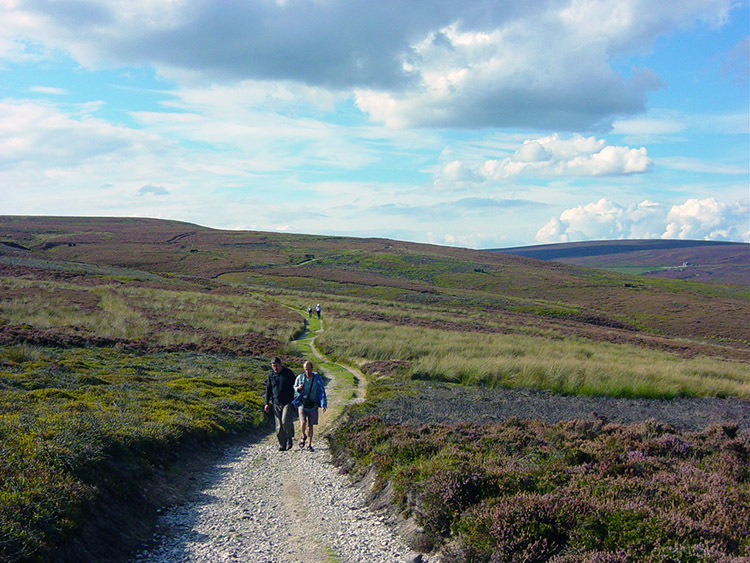 It is about 10 miles round the moor and is one of those walks that will clear away the cobwebs as you are always going either up or down! I did this walk in the company of Dave, Deke and Jez. Most of the walk we did was on well walked paths but intrepidly we left the tracks on a couple of occasions. 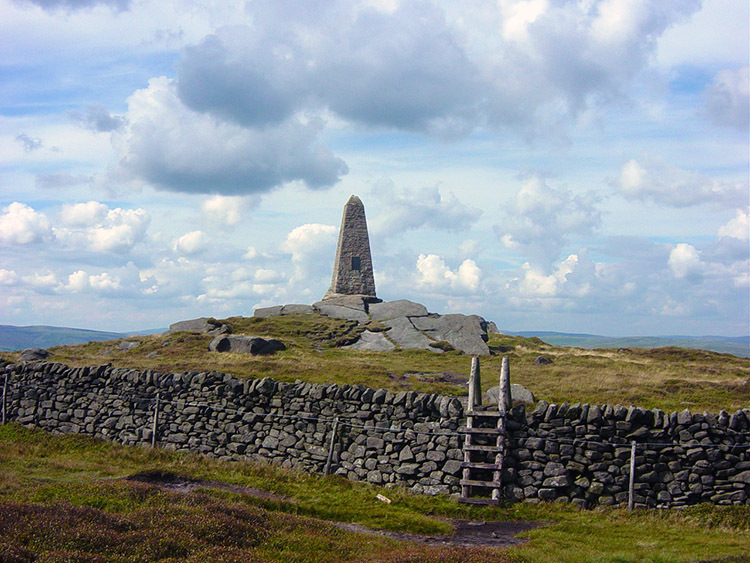 After Embsay Crag we ventured over the open moor up to the trig point at Crag Top and after the war monument we tracked across untrodden ground making it an adventurous finale. If only Dave had put his socks on! The walk began for us at Black Moor and we left the cars in a southerly direction following the bridleway to How Gill thus doing a rounding of Black Hill. The bridleway eventually petered out into a narrow path, seldom walked and overrun by ferns as we made our way to Low Crag and then crossing the road to High Crag. At High Crag we took a short break for Deke to expel some of Saturday nights excesses! As promised, I have not published the picture old chap. 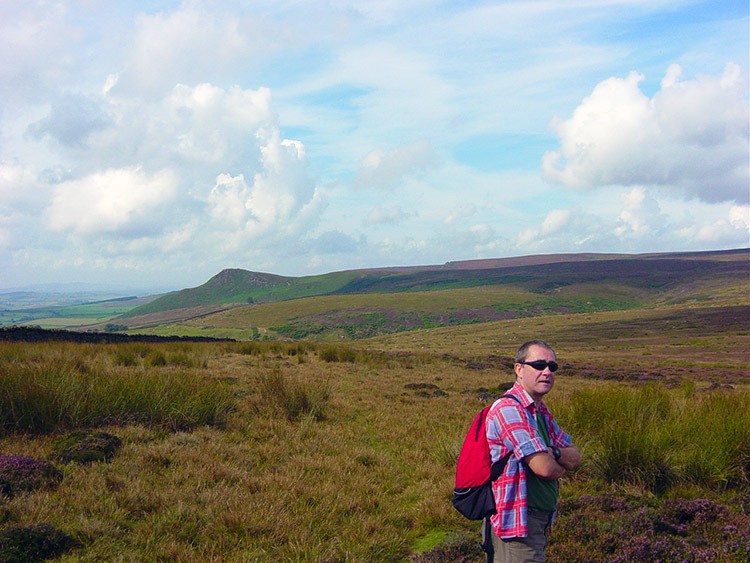 After our interlude we left High Crag to gain our first access to Embsay Moor itself. 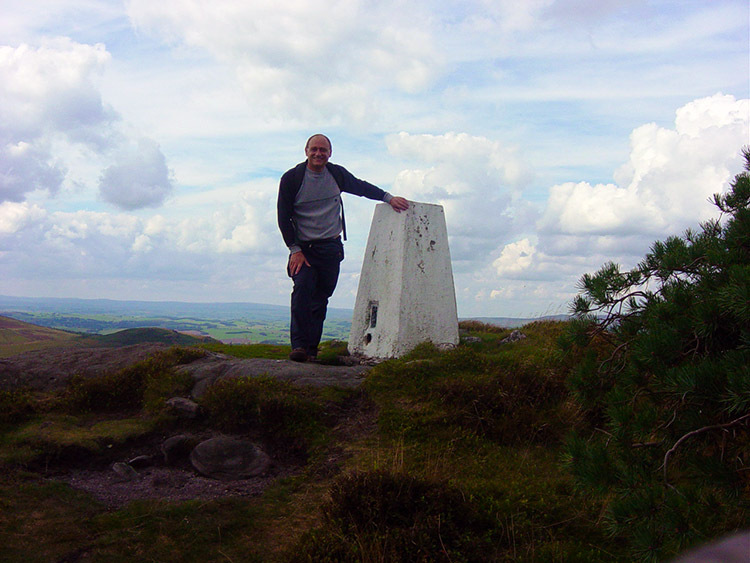 What followed was a nice two mile walk across the undulating moor to Embsay Crag from where we sat and watched over the part time ramblers climbing up to the crag from the direction of Embsay village and the Embsay Reservoir. 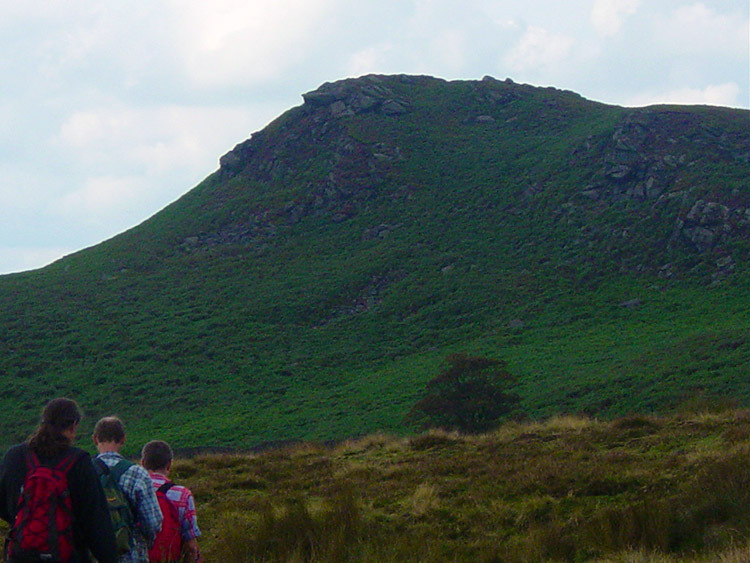 Embsay Crag is close to Skipton and a popular spot for short distance walkers. 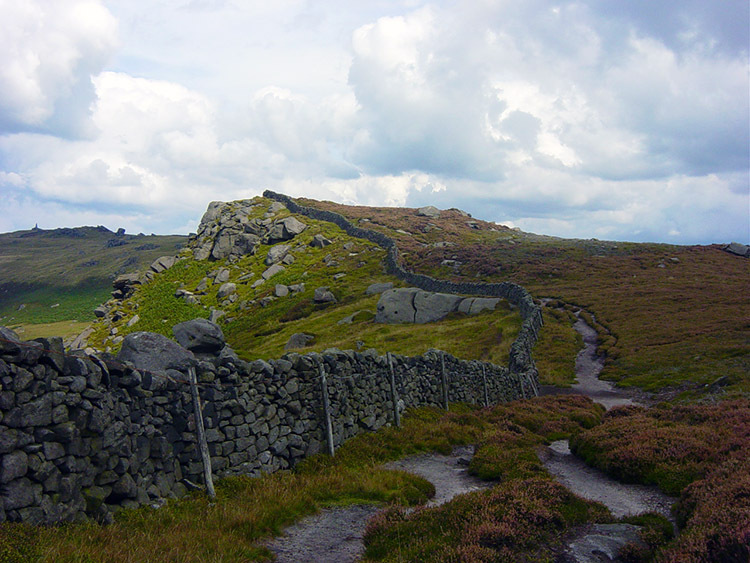 For us though Rylstone Fell was our next goal and rather than dropping down to the reservoir and climbing back up through Crookrise Wood we headed due north crossing Moor Beck onto Deer Gallows Ridge. This was fun if a little tiring in the long heather and grass and quite funny as Deke, Jez and I watched Dave's head bobbing in the distance, his body hidden by the long stuff. 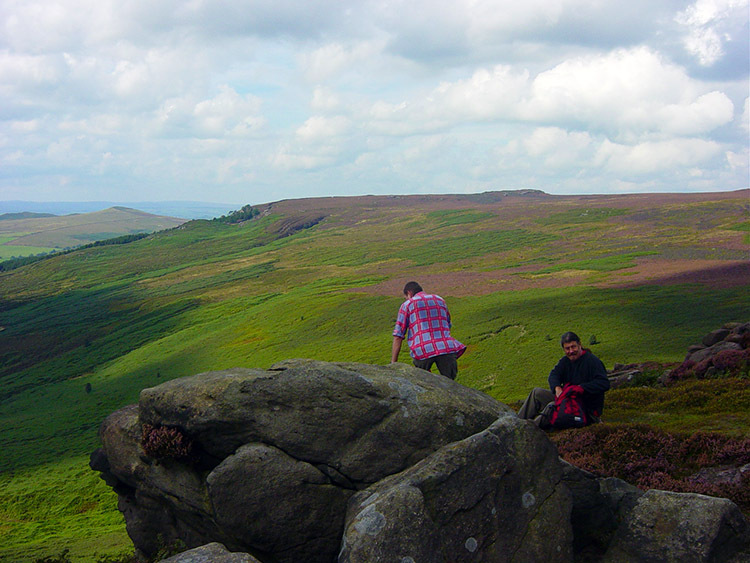 After a stop on some crags where we re-met we headed across West Harts Hill towards Fairies Chest. Here we regained a path at Crookrise Wood. Walking alongside the eastern fringe of the wood in a northerly direction took us past some magnificent enormous boulders at Hellifield Crag. At this point we reached a beautiful spot that dropped us steeply down to the crossing of Waterfall Gill. Straight down, across the stream and straight up is the routine we are so used to and no matter how used we all get to it those steep pulls up out of a gill they are always a bugger. I would not give it up for the world though, the sights we come across are always worth it. After the steep little climb we all paused a while to catch our breath. 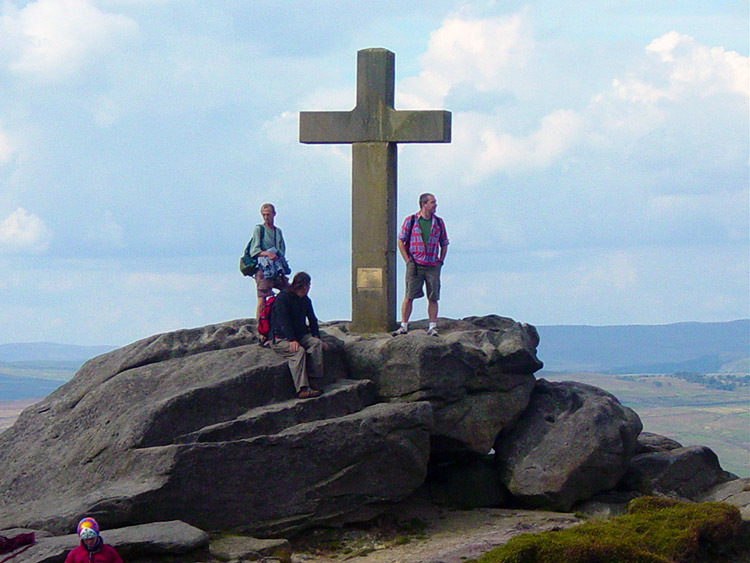 After getting to our feet we then walked on a fairly level and fulfilling moor crossing to the Rylstone Cross. For film buffs, Rylstone is the village from where the Calendar girls came, made into a film starring a celebrated cast including Helen Mirren and Julie Walters. We could see the village below on this fine day. As we had been walking the skies had been progressively clearing making it a lovely mid September Sunday. After a few moments at the cross we moved on the edge of the ridge to the more impressive Cracoe War Monument. Here we rested for a while and finished off the remains of our food and drink while deciding on which route to take back. 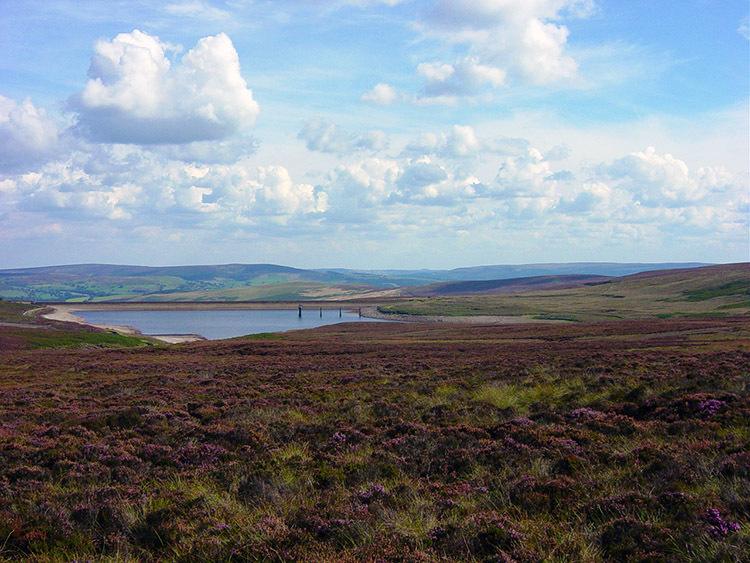 Deke and I opted for the direct way south-east across the moor towards Upper Barden Reservoir. Dave and Jez reluctantly agreed. Oh what fun the explorers have. 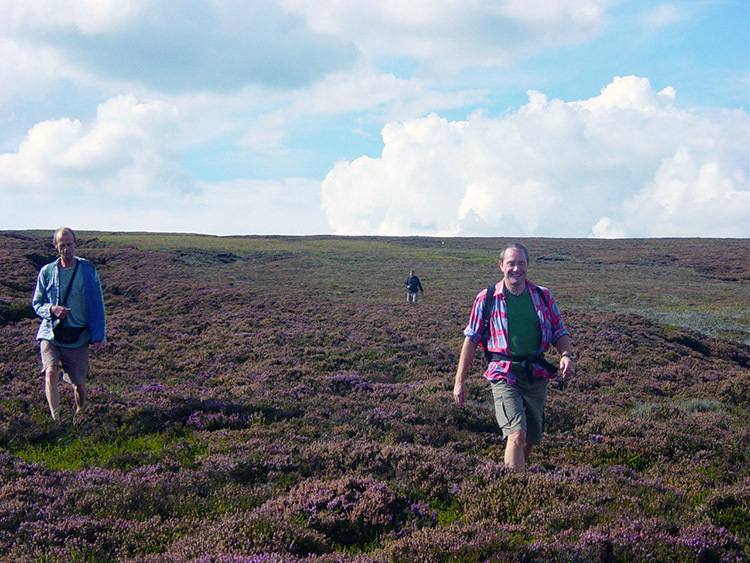 The walk across the moor began easily enough and it was all slightly downhill. But then we hadn't known about the yet unseen Yethergill. 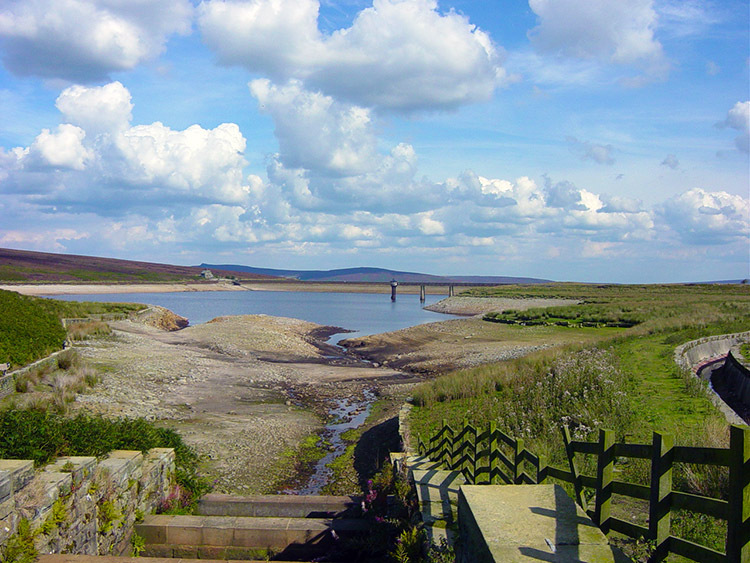 The gill and its little tributaries feed into Upper Barden Reservoir. We hadn't the benefit of a map with us to have surveyed this and so the second half of our walk to the reservoir was done by dropping into peat hags and climbing back out again. Add this to the deep sharp heather and Dave's lack of socks which cut him up a little and the sum of the recipe was a 'Davemoan'. Now, Davemoans are known to all his friends and can quickly fester. One moment he may be happy and bounding along and the next constantly Davemoaning. We all must have fallen into a hole during this section, I did at least three times but the falls were always soft and cushioned by the heather carpet. We soldiered on having to endure the Davemoans. a typical one was "I don't know why you lot always have to go off track! I am not enjoying this now" Eventually we reached the reservoir and made a bridleway that was to lead us back to our starting point. 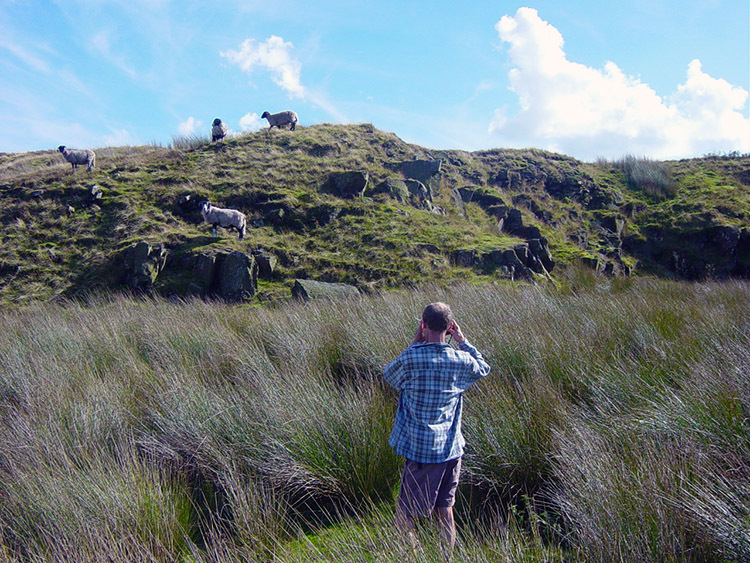 Dave quickly recovered his form and we all enjoyed a leisurely walk on good paths and bridleways over the moor past Lower Barden Reservoir to the cars. Well Deke, Dave and I did. Jez ran back. All in all another great day out and yes, we will always explore off the beaten track. Even Dave.